The patient below had 4025 grafts with Dr. Sara Armani in Tornto using FUE for zones 1, 2, 3 and 4. The patient is 10 months post op in the after photos. 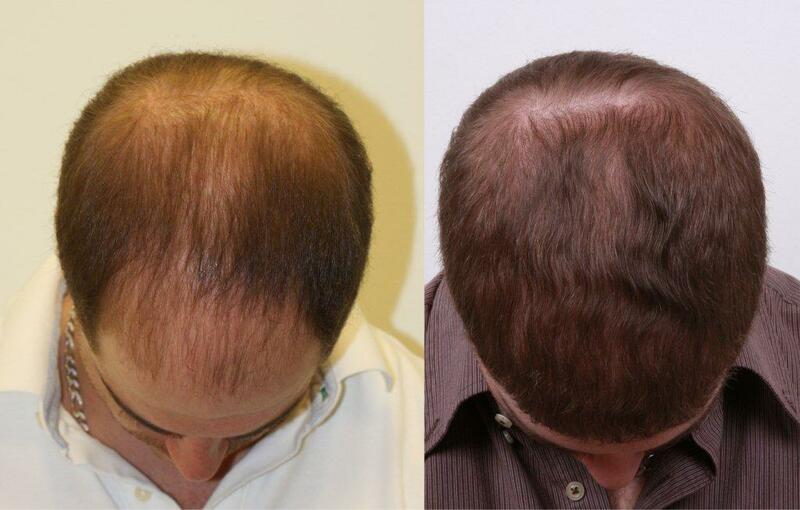 Before and after of donor area after 4025 grafts exctracted. He def looks better however i think the result is kinda see through. I think in bright lights it wouldnt look so good. Also his donor site in the after seems a bit patchy. How old is he? Yeah, his donor looks pretty heavily taxed. Maybe the tank isn’t empty yet, but he’s sure as hell not gonna get another 4000 grafts out of it. His result will probably still thicken up some more though. 10 months is usually not the end of the line for improvement. I’d like to see it at 18 months. wow looks really good. Really nice result in the front…the temples have been filled in nicely. I feel bad for this guy, 4000 grafts and he’s still see through and his donor is pretty much finished now. This isnt right, he may not have a scar but thats unacceptable damage to his donor if you ask me… I will say that the recipient seems fine for the amount of grafts used. » follicle destruction or shockloss cuz it shouldnt be all patchy like that. » You can even see a thin patch in the first after pic right above his ear. » the recipient seems fine for the amount of grafts used. Are we talking about the same photos? I couldn’t tell a thing from the after photos, I wish he would buzz his hair shorter so that the donor would be more revealing. When some are told how many grafts someone has had, especialy in the forum world, posters start “looking” for things to nit pick at. If this gentleman walked into a room and you were not told he had work done, you would never guess. That’s true. He does not look like a HT patient in front, and the back is buzzed too short to even be hiding a strip scar. 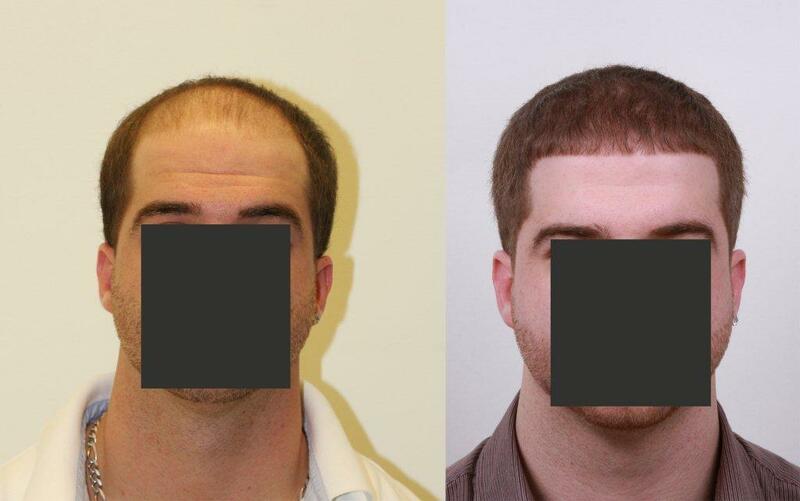 It’s definitely a result that only massive amounts of FUE could offer. I have nothing bad to say about the visible regrowth up top for 4000 grafts. If it thickens more in the next half year, it’s gonna look pretty good. On par with good strip work for the number of grafts used. As for the donor, it bears noting that the “after” pics are lower in contrast than the “before” ones. That will make the recipient area look better and the donor area will probably look worse. To tell you the truth I don’t think the donor pics are enough to judge. I think there’s clearly a dent in the density in back, but not enough of a look presented here to call it great or awful. He’s also got it buzzed so short that even moderate thinning would be prone to showing. Another centimeter of length in back would be a whole other story. I still wouldn’t do any more FUE work in back if I was him though. I think for the amount of grafts he had done with the all the zones it covered…that the result looks great. 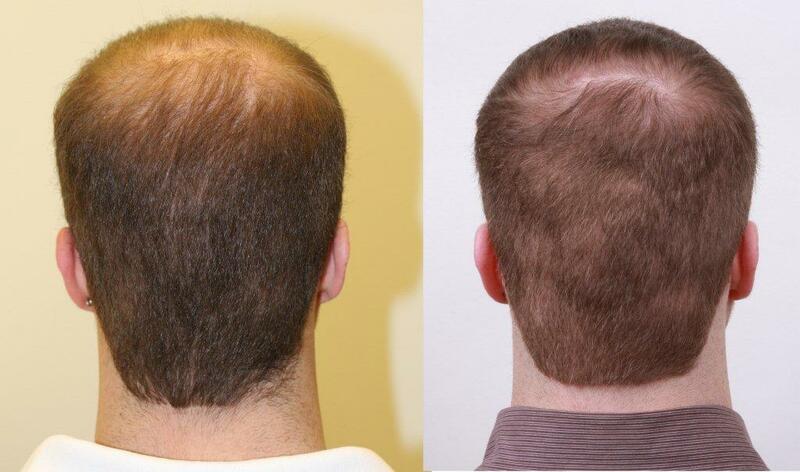 This patient went into surgery with a good deal of hairloss and 10 months later looks great with a full head of hair. The hairline is undetectable which is a huge aspect as well. Bottom line…the patient got back years to his youth and confidence. He should be happy. I agree the recipient area looks good. More donor and intra-operative photos showing placement are always helpful. » hair. The hairline is undetectable which is a huge aspect as well. Thats not the point though Pats, I never said that someone would be able to tell he had work done. Your right, no one would. Why? because there’s no scar, and we are trained to link scars with surgery. My point is that he didnt have this issue until he had the surgery. Therefore it is evident that there has been some sort of transection or damage to the surrounding follicles that resulted in this uneveness/patchiness which is indicated by the photos you provided. This is not uncommon in the FUE world if extreme patience and precision is not excerised. Dr Woods as well as others have cautioned about this “devils halo” phenomenom many many times. I agree. Looks good. In my opinion the color of his hair sort of may give the illusion of thinness in some areas, but I dont think its because of over harvesting, I think its just his natural or unnatural hair color. he’s also a little on the pale side which shows more hairloss with hsi hair color. he should cut it a little shorter and get a tan, he should be str8 after that. All in all, this is perfect proof for those who kept denying that fue can produce complete coverage and a full head of hair. Then it’s back to the strip vs fue thingy with the previous posters. I love it when people say “it’s almost as good as, or up to par with strip”. 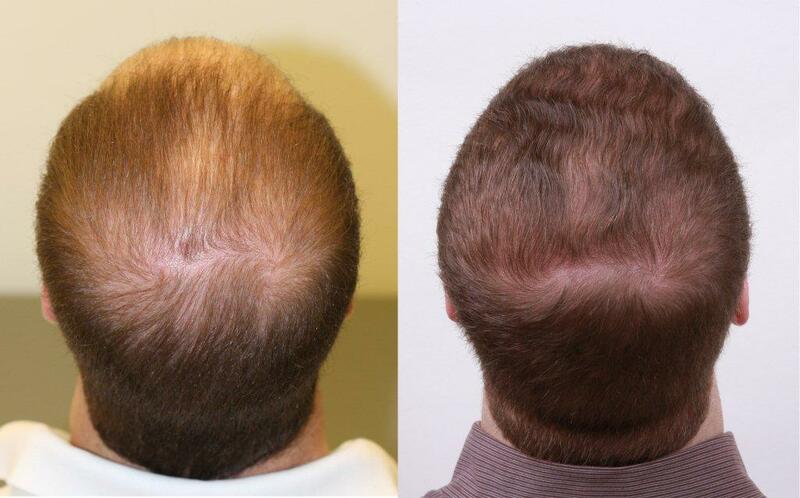 Quite franky dr armani’s fue results are turning out much better than strip results so I don’t know where you get the “almost as good as strip” scenario. This gentelman easily has another 4,000 grafts left in the bank. No scar. I repeat “No Scar”. But let’s do what some of us do best and search for something to nickpick on because this is an armani result and as we all know we know whats the deal behind that without saying. 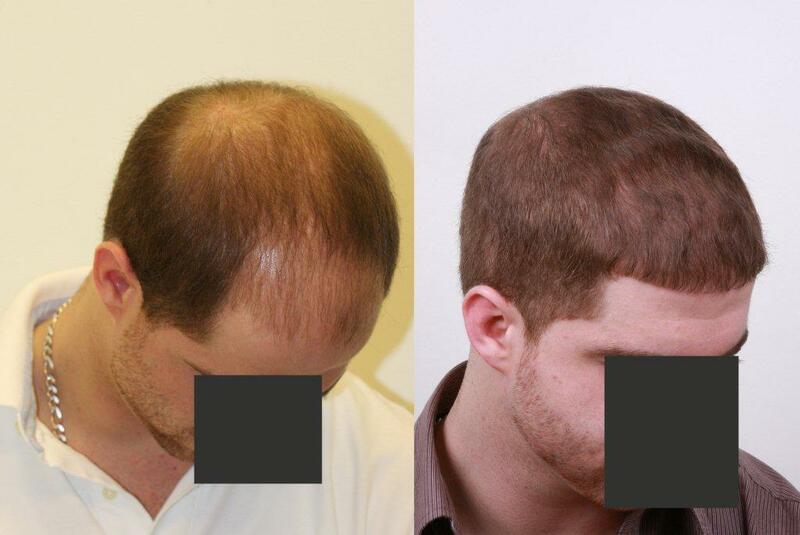 Fact of the matter is this is ANOTHER great example of complete coverage using FUE provided by the armani clinic. Excellent work and wish the patient all the best. By the way he will be at his 100% growth at 18 months…not 10 months. Time Multiply his density by 2 cause he’s only half way there! I’m sure this patient is happy, it looks good, a video would have been nice however. Dr. Woods noticed the devil’s halo and he didnt use a drill. Atleast, he didnt say he did. What makes you think the donor looks motheaten due to use of a drill? Could be large punch size, uneven overharvesting or some other reason. » My point is that he didnt have this issue until he had the surgery. » halo” phenomenom many many times. » » My point is that he didnt have this issue until he had the surgery. » » halo” phenomenom many many times. It’s best that a video is provided, that will spare us a lot of the unnecessary debate, it is hard to tell from the photo, is that the lighting , the contrast or the way the pic is taken? I don’t really think it’s fair to call the after picture motheaten unless you’re totally ignoring the before picture. Most of the thin areas are thin in the before picture. The hair is a different color. Since he has pale skin, he’s always going to look like he has thin hair because he has much darker hair than to his skin. Additionally, it looks like some hairs have an absence of color causing the hair to be see-through. His hair in the after picture also looks cleaner compared to the before picture, so the length may be shorter. This only magnifies the thinness he has in the before picture. Do I think this is a good result? Not really. If the patient is happy, then why does it matter what I think.